Does your grandmother make the best gingerbread cookies you have ever tasted from a secret recipe that has been passed down from generation to generation? Or, maybe your uncle makes one-of-a-kind, hand-painted ornaments. Have you ever stopped to consider how these irreplaceable holiday traditions, unique to your family, will continue after your loved ones have passed away? Keeping a record of family recipes, instructions and other holiday traditions is crucial if you want to continue these traditions with future generations. Many families today have websites just for sharing photos and keeping in touch with each other. If your relatives lives all over the country, or even the world, sharing a website where everyone can communicate and write about their experiences (and brag about their kids!) can be a great way to stay connected in spite of the miles that separate. The website can also be a great way to preserve and pass along recipes, traditions, and other family stories. Creating a CD or flash drive is a great way to share and preserve memories. Photos, special music, videos from past holidays, treasured documents or images and favorite recipes are all eligible data that can be burned. When considering this option, as you will probably buy many units to distribute, you may be tempted to select the cheapest products. In order to avoid technical glitches however, one online duplication company, Digital Copycat, recommends, “…the best way to purchase good quality flash memory is to have a name brand chip…” That way you ensure the memory availability is accurate and you will have successful data downloads and viewing. CD’s and flash drives are portable, relatively inexpensive, and can be easily mailed to kin far and wide, distributed at a family reunion, or other celebrations such as birthdays and anniversaries. When one relative can’t be present, creating a CD of the event or the holiday allows them to experience what they might have otherwise missed. Another way to keep holiday traditions alive is to email or snailmail out a family newsletter during Christmas, Easter, Hanukkah or another significant holiday in your family. The newsletter can include favorite recipes, photos, holiday traditions and current events going on within your circle. You can even “advertise” an upcoming party or family reunion so people can make travel plans or coordinate time off from their jobs. People love to share their stories with you – especially grandparents and older family members. They love to tell the grandkids and younger generations stories about “the old days” when they were kids, perhaps living in another country. These oral stories are priceless, and sometimes the only way to keep them alive is by recording the storyteller himself. You can record audio, make a video, or simply take notes as your grandmother tells you about her trip to America from “the old country.” Then, you can pass your recordings or notes along to other family members. These priceless oral, visual and written treasures will live on long after your loved one is gone. Preserving traditions, rituals and special holiday recipes is not something we think about every day, but perhaps maybe we should. Before you know it, the sources of all these amazing and wonderful customs that make our families unique disappear forever. Keep them alive before they are gone, so future generations will always be able to share in these special experiences. 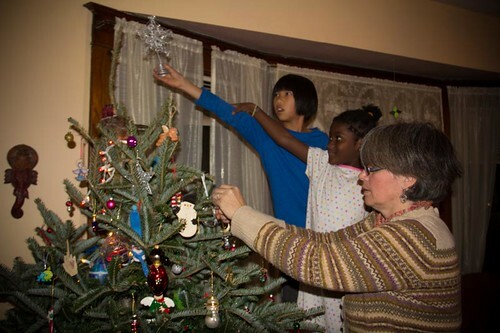 Writer Teresa Stewart shares the importance of preserving and passing down family traditions. While researching methods of permanently documenting data, she explored an online company Digital Copycat which provides duplication and replication services.